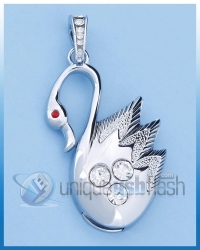 This USB Flash combines the appearance of a beautiful swan shape pendant with the practicality of a USB Drive. If you have to carry a drive, why not do it in style? We have many other styles and capacity to choose from.